A lot of Bullet Journalists are people who love the idea of craft, but cannot justify the time or money spent on a hobby that will end up gathering dust on a shelf. Here’s looking at you handmade pottery, half-finished dreamcatchers and 2-page scrapbooks. But that’s why the Bullet Journal has been so popular – it allows you to have fun with art and craft, but create something super useful. It’s not a waste when it’s helping you be a more productive person! That’s why it makes perfect sense to incorporate memory keeping into your Bullet Journal. 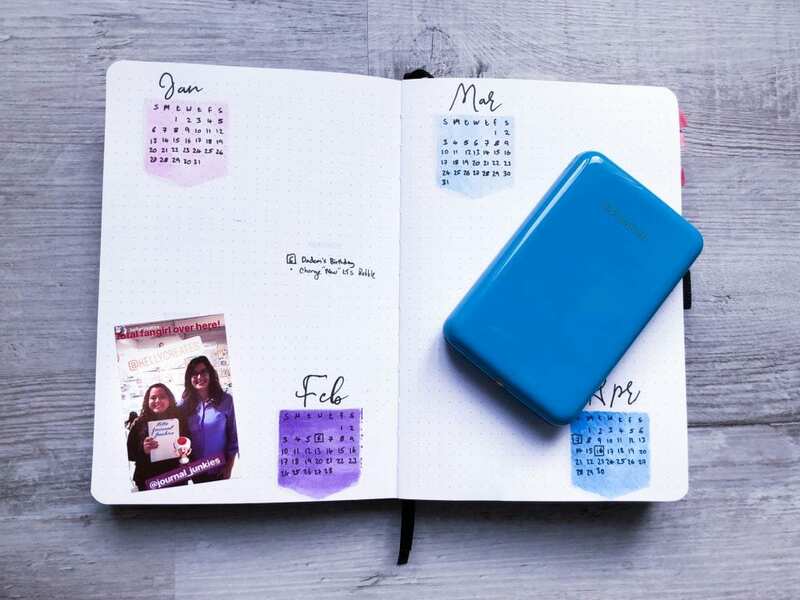 And what better way to keep memories than with photos! Most of us are snapping away with our camera phones throughout our day. 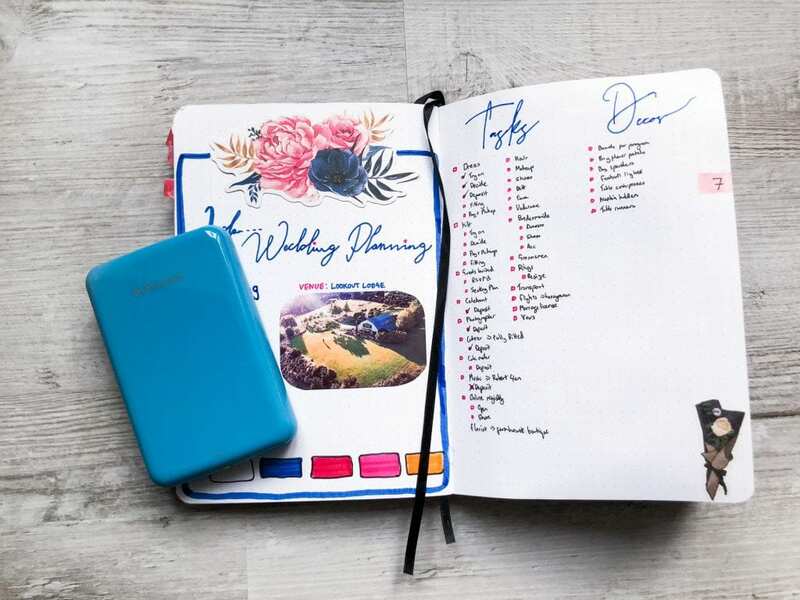 Why not immortalise the highlights in our Bullet Journals? 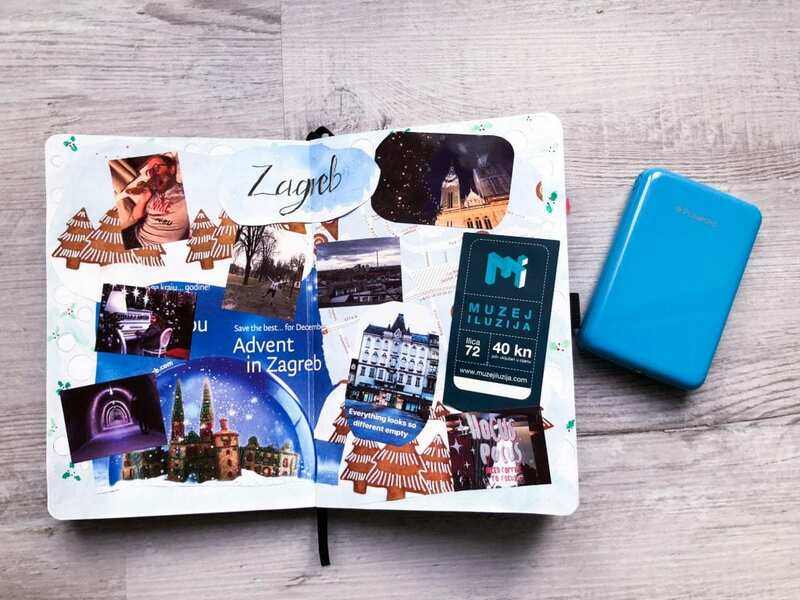 My go-to for quick prints is always the Polaroid Zip – it’s the perfect size for travel, simply connects to my phone and prints straight onto sticker paper! How easy could you get? P.s. I also have been using it to improve my hand lettering in my journal and make my collection spreads really pop! 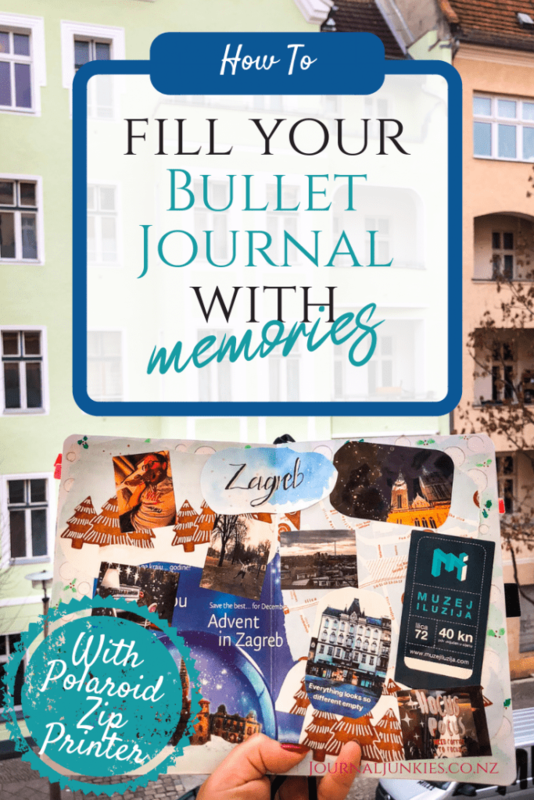 So, without further ado, here are some crafty ways to incorporate pictures and memories into your Bullet Journal. Apologies in advance if you’ve already set up your future log for this year, but you can totally still do this when you’ve finished using each month! This did take some pre-planning on my part, but I wanted a way to keep the year’s highlights together. The future log seemed like the perfect place. It does mean my future log looks a bit bare, but every month I add a photo I consider to be a highlight, and I think it creates a gorgeous overview of the year. It’s also a neat exercise to go back and look over the last month’s pictures and remind yourself of all the fun stuff you’ve got up to. 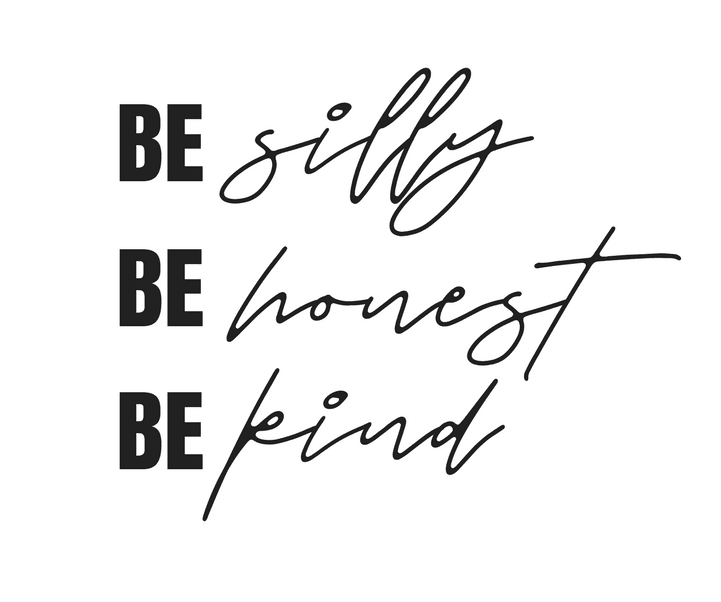 And they don’t have to be massive life-changing moments – Just special to you! You know that feeling when you flick through your journal and come across half-finished habit trackers or spreads that didn’t really work? Yeah, I hate it too – they’re usually positioned straight after a monthly calendar or cover page, and are just a disappointing reminder of all the things you didn’t achieve. Struggling to stick with your habit trackers? 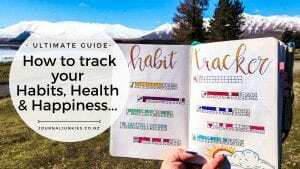 Read my ultimate guide for all my tips, tricks and how-tos on tracking your habits, health and happiness in your Bullet Journal! Say F-it and roll with it – my Bujo is full of mistakes and miss-steps! Stick the pages together and pretend it never happened. 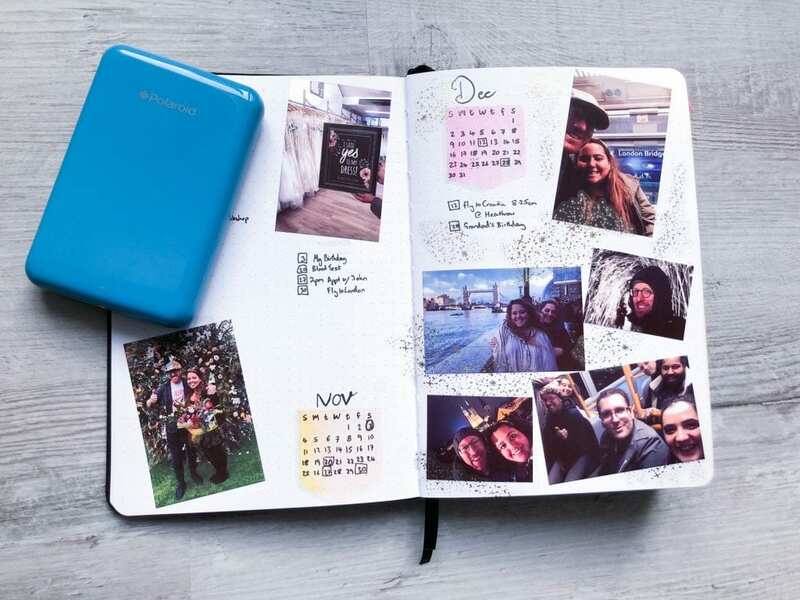 Use it to create a memories spread! As you can probably guess, number 3 wins for me. Suddenly a sad, empty tracker becomes a great visual representation of the month! This can be super effective, especially if you’ve had a big event or taken a trip. This was an abandoned habit tracker for December. 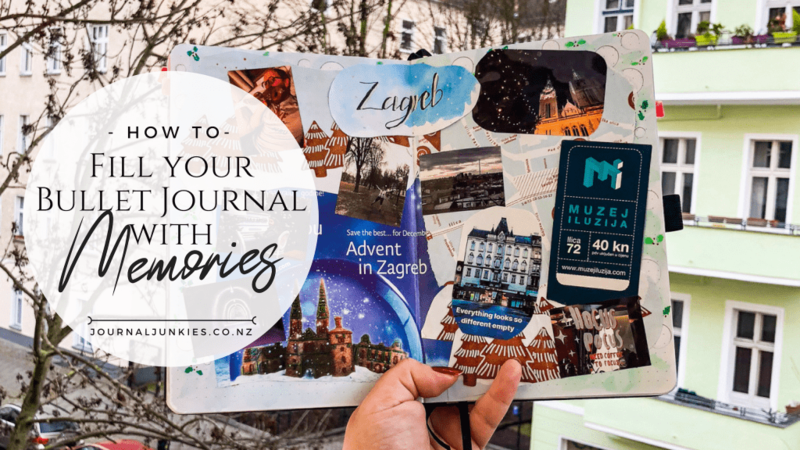 I used pieces of Zagreb’s Christmas tourist map and photos printed from my Polaroid Zip to build it into a memory/scrapbook spread! 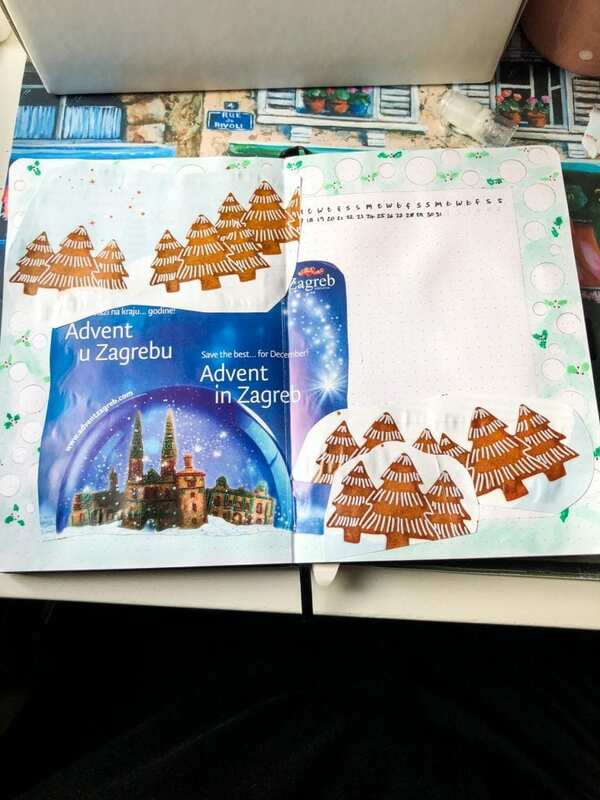 I’m really thrilled with how it turned out and it makes me less worried about abandoned spreads in future! 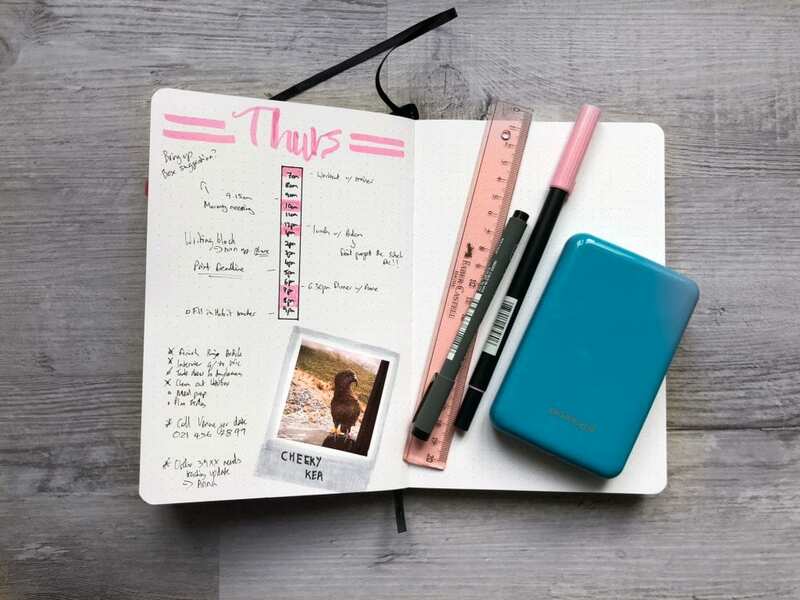 If in doubt, you can always scrapbook it out! N.B: take into account your paper weight before using any glue in your journal. I use an Archer & Olive which has 160gsm, so can take glue and watery inks just fine, but others might not be so hardy. Very thin pages will crinkle and warp with wet glue; opt for a gluestick or double-sided tape instead! The Polaroid prints are already sticky-backed and fine for all paper weights, just incase you were wondering. This is pretty self-explanatory, but having a super easy mini printer like the Polaroid Zip makes it even easier! 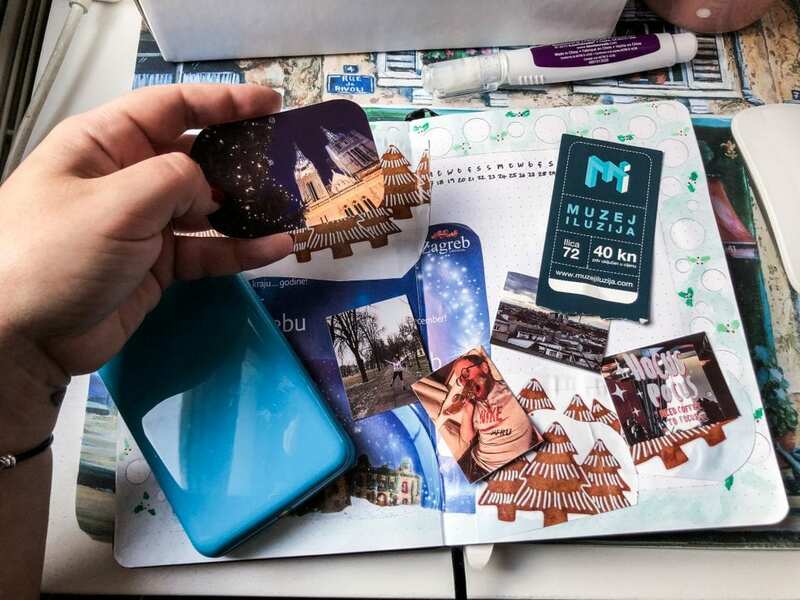 If you take a photo of something awesome that day, simply switch the zip on, print and stick. It’s that quick. The photos really help the daily spreads pop with personality, don’t you think? Like the idea of that timeladder? Read my review of 3 different timeladders for Bullet Journalists. 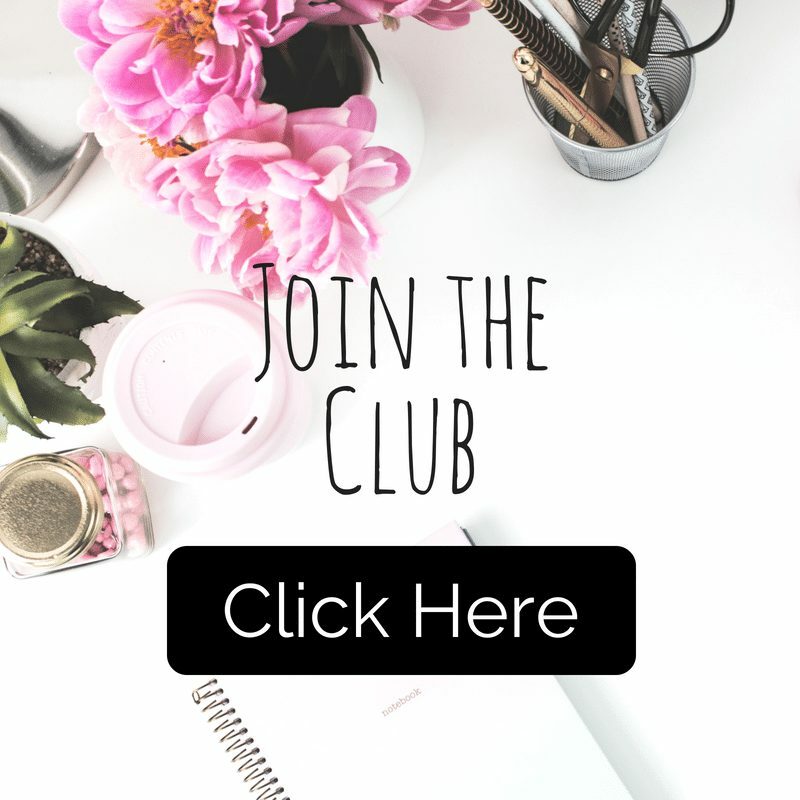 It was one of my very first blogs! I’m currently planning my wedding and let me tell you, I don’t know how people did it without camera phones and the internet! I’m snapping photos of dresses, saving pins of bridal bouquets and screen-shotting table decorations. But when I’ve finally settled on a decision, it’s been great having the photos available for quick reference in my Bullet Journal. In my master spread, I’ve included a photo of my venue, which helps remind me that it is already beautiful and probably doesn’t need 6-foot flamingos in the garden. I’ve got my mood board and ideas spread to reference when making decor decisions, as well as keeping track of what decisions have already been made so I can make sure everything is working well together. The photos have been invaluable! It’ll also be so nice to look back on the planning stage once it’s over, and be reminded of how magical it all is. And it’s not just all fun wedding stuff. 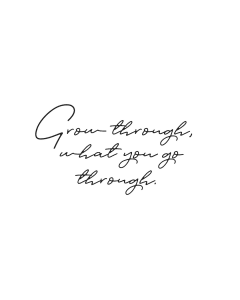 I’m using images in all my goal and project spreads – either as aspiration or progress pics – to remind me where I’m going and how far I’ve come. I haven’t done this yet, but you bet I’m saving it for a month where I’m not feeling my artsy self. Luckily, Steph B Sanity has done it already, and filmed it! 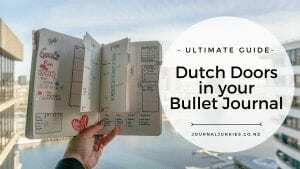 The idea is simple – lots of us like sectioning off our Bullet Journal. Mostly into months, but you could section it anyway you want! Cover pages are popular because they signify a new beginning, and end pages would wrap a section up nicely, especially if you have one awkward page you want to fill! Simply use relevant photos to do just that! Like keeping memories but don’t love photos? Try this idea by The Little Coffee Fox. 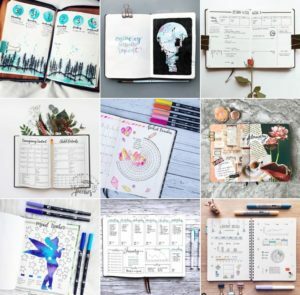 Alternatively, if you want more excuses to use photos in your Bullet Journal, check out these ideas by Blossoms and Bullet Journals! 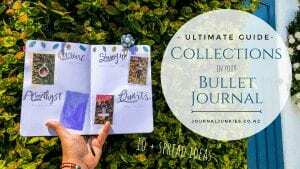 This entry was posted in #BuJo inspiration and Layouts and tagged bullet journal, memories, polaroid, scrapbooking.